It would seem reasonable to conclude that an appropriate ADD/ADHD diet to treat the symptoms of ADD/ADHD, and possibly cure it, is a common treatment method. Unfortunately, an ADHD diet is not a standard prescription and ensues with much controversy and skepticism. Attention Deficit Disorder (ADD) or Attention Deficit Hyperactivity Disorder (ADHD) manifests itself as a chronic, developmental condition involving the neurological activity in the brain. After conducting brain scans of children with ADHD, researchers concluded that there was a 3-4% smaller volume of matter in chief areas of the brain on a consistent basis. These areas included the frontal lobes of the cerebrum responsible for impulse control, problem solving, and planning, the cerebellum that regulates motor coordination, and the caudate nucleus that helps the process of organizing information. 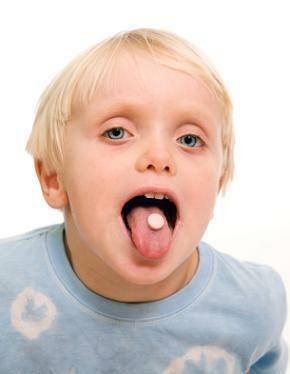 Medications are the usual route of treatment for ADD/ADHD. Ritalin, Concerti, and Adderall are the most commonly prescribed drugs. There are newer medications being developed on a constant basis, with the Daytrana patch recently introduced. However, there are many serious side effects known with these stimulants, including psychotic behavior, manic-like behaviors, and depression. Other side effects reported include insomnia, loss of appetite, weepiness, sadness, nausea, vomiting, and weight loss. While symptoms range from mild to severe, one or more are usually present and often are treated with additional medications. Avoidance of three main food preservatives BHA, BHT and TBHQ. These are not often listed on food labels, but check for the term "antioxidants" or call the food manufacturer directly. These are made from petroleum. Avoidance of additional preservatives, such as monosodium glutamate, nitrates, sodium benzoate, and sulfites. Decreased amount of sugar in diet with no more than 10%, if any. Without doubt, getting a balanced diet with sufficient vitamins and minerals is critical, not just for the average person without ADD, but perhaps more importantly for persons with ADD. Deficiencies of any type can exacerbate or even cause inappropriate behavior, social interaction, mood swings, and perhaps learning problems. There are several companies offering supplement formulas appropriate for ADD diet. It is important that you discuss all treatment options with your physician. Seeking support from others you have experienced improvements and management of their ADD/ADHD with diet changes is a great place to get help as well. Be sure to share your story here too.